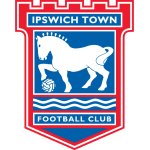 Ipswich vs Derby predictions ahead of this Championship clash on Wednesday night. Will the Rams secure three points? Read on for our match preview and free betting tips. Can Derby get back into the top six in the Championship on Wednesday night? They are pushing for a playoff spot, but they were recently overtaken by Bristol City in the fight to gain promotion to the top flight. The Rams have had plenty of praise for their campaign so far, but with time running out they need to be back in the top six. This weekend sees them head to Premier League Brighton in the FA Cup, but first, they’re up against a side who are plummeting down to League One. The hosts suffered a heavy defeat at the weekend in dramatic circumstances. They lost to rivals Norwich, with manager Paul Lambert getting sent off in their 3-0 defeat. That did little to save them from the drop, as they slipped closer to the drop. Ipswich are looking cut adrift at the bottom of the league, and they have little hope of pulling themselves to safety this term. However, can they brighten up their campaign with a result against Derby this week? The visitors won 2-0 at home to Hull on Saturday, but that couldn’t get them back into the top six. Moving into the playoff spots will be the goal this week, especially with cup action taking over at the weekend. However, winning on the road hasn’t been easy for Frank Lampard’s side. They’ve got the eighth best away record on their travels in the division. That’s basically been the difference between them and the sides who are fighting for automatic promotion. This week does seem like a great chance for the Rams to turn that around. The hosts have won just three times in 31 games this term. They come into this one with the second-worst home record in the division, with less than a point per home game. 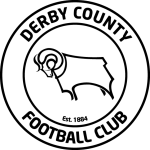 They were beaten 1-0 by Sheffield Wednesday in their last clash here, which suggests that promotion-chasing Derby should thrive in this trip. The visitors come into this one with three wins in four meetings with the team from Portman Road, so we see them edging this clash. Ipswich have lost their last four matches in the league, while they chased out of the FA Cup to lower league opposition in Accrington Stanley. Derby went and won at Stanley in the last round, and we see them winning here. They have some good form behind them after winning three of their last four, and that should be enough to help them see off the league’s worst side. Since Mick McCarthy’s last home Championship match in charge, Ipswich have collected just 14 home points (W2 D8 L7) – fewer than any other side to have competed in the division in both the 2017-18 and 2018-19 seasons. Ipswich’s Paul Lambert has lost his last two Championship games against Derby, losing 0-1 with Blackburn in February 2016 and 1-3 with Wolves in April 2017. Derby boss Frank Lampard featured, and scored, in Paul Lambert’s heaviest English league defeat as a manager when he was Aston Villa manager, an 8-0 win for Chelsea in December 2012.